The southernmost island in the Puget Sound, Anderson Island can be reached with a short, scenic ferry ride from Steilacoom, but it may feel as if you’ve traveled back in time, as there are no traffic lights and just one general store. While it’s wonderfully peaceful, Anderson Island waterfront real estate owners will find lots to do, even if it’s just relaxing and soaking up the amazing views, which include a panorama of the Tacoma Narrows bridges, McNeil and Ketron islands, Mount Rainier and the Olympic Mountains. Even better? Those vistas come at one of the most affordable price points for waterfront property in Pierce County, making it even easier to live the island lifestyle, or enjoy it as a vacation retreat. Outdoor adventures for those who own Anderson Island waterfront real estate are practically endless with everything from kayaking, swimming, canoeing and fishing to golfing, hiking, geocaching and wine tasting right at your doorstep. While there may be just one general store, one restaurant and one café, the island hosts a great farmers market, a variety of community events, and the landmark Johnson Farm, a century-old farm with a community garden, multiple historic buildings and a small museum. The farm hosts some fun activities and events as well, like the annual Salmon Bake and Apple Cider Squeeze. With all of the fantastic scenery and things to do on the island, when you own Anderson Island waterfront real estate, you may not want to leave often, but when you do, you’ll find a wealth of dining, shopping, cultural attractions and entertainment just minutes from the Steilacoom ferry dock in the Lakewood-Tacoma area, while the city of Seattle is less than an hour’s drive way. The options for prospective Anderson waterfront real estate buyers are wide-ranging, as Anderson Island has two freshwater lakes, as well as a saltwater shoreline, with everything from vacant lots to build on, cozy cabins for a weekend getaway to single-family homes. Take advantage of our industry-leading tools to make your property search as easy as possible and be sure to register for a FREE account so that you can receive email alerts whenever new Anderson Island waterfront real estate for sale hits the market. 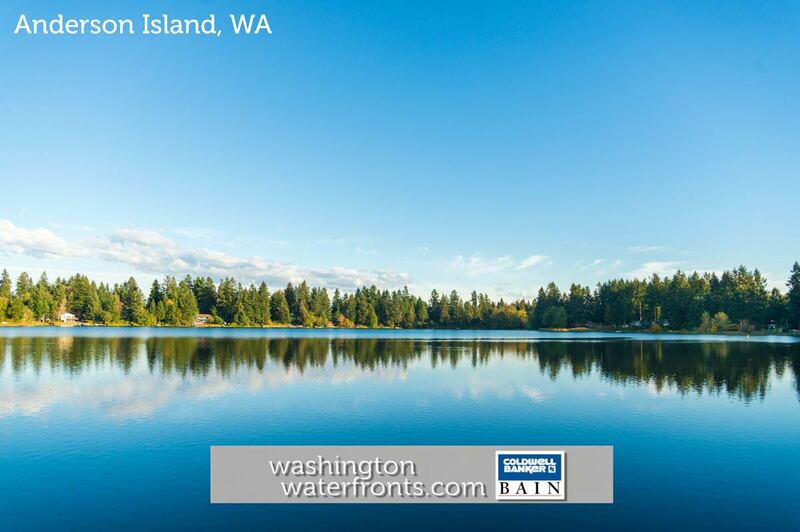 If you're seeking to sell your Anderson Island waterfront property, contact our Waterfront Specialists directly for a comprehensive listing analysis and to learn more about the cutting-edge marketing strategies we'll use to sell your home quickly for top dollar!